Empowered with latest technology machines a dedicated team, we provide a wide range of Scaffolding Accessories. Our large array of Scaffolding Accessories includes Scaffolding Couplers, Scaffolding Bottom Cup, joint pins etc. Usage of premium raw materials in the production assures high durability and efficiency. Available in various sizes and dimensions, our Scaffolding Accessories can be customized as per the demands of the clients. Extensively used in the architectural sector to give a temporary support to the buildings, our Scaffolding Accessories are highly reliable. 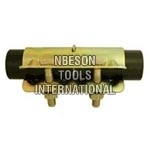 We have carved a niche as one of the leading Scaffolding Accessories Exporters based in India. 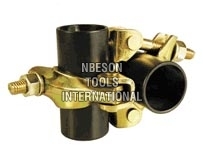 Our superior quality Right Angle Coupler is ideal to clamp scaffolding tube at right angles. 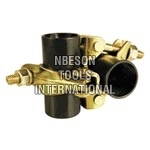 Providing structural strength to the frame, our Forged Right Angle Coupler is highly durable and strong. 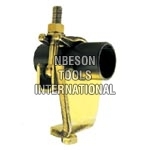 We are well reckoned as one of the overriding Scaffolding Right Angle Coupler Manufacturers and exporters based in India. 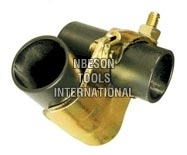 We provide Swivel Coupler that is available with replaceable bolts to ensure its high performance. 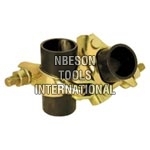 Our Pressed Swivel Coupler is widely used for bracing the tubes and allows them to connect at any angle. 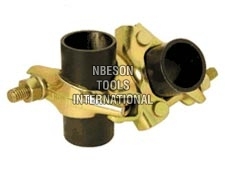 We have firmly positioned ourselves as one of the distinguished Scaffolding Swivel Coupler Manufacturers based in India. 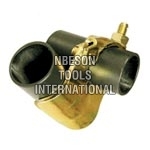 We offer high quality Bottom Cup that is manufactured from the optimum raw materials. Our Scaffolding Bottom Cup is a blend of efficiency and performance that make it highly popular in the market. 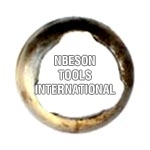 We stand in the midst of supreme Rounding Bottom Cup Manufacturers and exporters based in India. Our highly efficient Joint Pins are widely used to connect scaffold tubes from end to end, when the tubes are compressed. Scaffolding Joint Pins provided by us are in huge demands for high quality and durability. 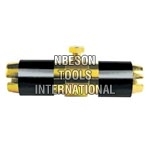 We have carved a niche as the most preeminent Joint Pins Manufacturer and Exporter based in India.